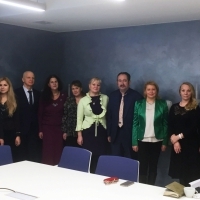 International Master's teams of MiBA-ToM program and International Semester completed work on the case provided by the Center of Israeli Medicine Sun Clinic. 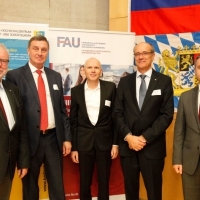 November, 9-10, 2017 at the Friedrich Alexander University in Nuremberg a conference on cooperation between economic universities of Russia and the Federal Land (Bavaria) was held. 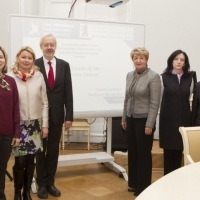 Within the framework of the next meeting of the International Discussion Club on November 17, 2017, at 11.00 am, a scientific and practical Russian-German seminar was held at the Hamburg Chamber of Commerce in St. Petersburg. 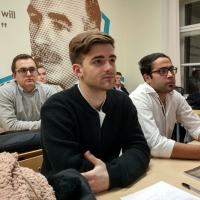 Scientific Russian-German seminar "The Future of the European Union"
November 2, 2017, within the framework of the meeting of the International Discussion Club, a scientific Russian-German seminar "The Future of the European Union" was held. The week from 18 to 22 October 2017 in UNECON was marked by the strengthening of cooperation with Switzerland. 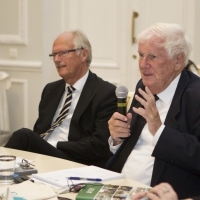 On 15 September the first meeting of International Supervisory Council of the University has taken place. 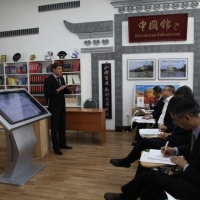 From 11 to 15 September the Chinese specialists of the Ministry of Finance attended a course in SPbSUE. 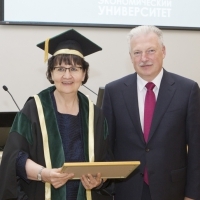 Rector Anneli Pirttilä is a new Doctor Honoris Causa of the University! On Friday, 22 September, the graduation ceremony of rector of the Saimaa University of Applied Sciences Anneli Pirttilä was held. 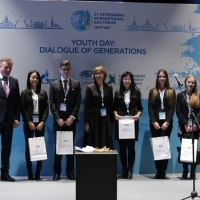 3-5 of October in Saint-Petersburg («EXPOFORUM») the project «Youth-Day: Dialog of Generations» takes place in the frameworks of VII Saint-Petersburg International Gas Forum. The opening of project "International Discussion Economic Club"
September 14, 2017 at UNECON there was opening of a new international project "International Discussion Economic Club".